This wonderful photograph of the Regent ballroom was taken somewhere in the period 1958-1960. I am sure that it will bring back happy memories to many of you. Maybe you can see yourself or a friend here. Let’s have your memories of nights out at the Regent. Gentlemen in suits, ladies in dresses and not a pair of jeans in sight. Wonderful. What ever happened to the art of gracious living? What great times were had at the Regent. My friends and I used to go at least twice in the week, then probably Saturday and tea dances on Sunday. Met so many lovely girls and I pity the boys now, as when they so called ‘dance’ (unlike us) they do not hold a girl in their arms. If in my days you had gone up to a girl in the street you had never met and put your arm around her you would get a slap, but ask her to dance in a dance hall and hey presto you were up close and often in bodily contact. I first heard, during a Syd Dean band break, Nat Gonella, a famous pre-war band leader, and his signature tune Georgia played on his trumpet. Absolutely great photo, I have heard so much from my Mum and Dad about this place that it is nice to have something to look at, and it does look a great place to have a night out. Are there any more photos out there of The Regent? I hope so. Seeing the photo certainly brought back the memories. A crowd of us used to go the Regent on a Thursday for Rock & Roll night. Fantastic sprung floor and really enjoyed ourselves. Of course that was in the days when you could walk all the way home on your own without any worries! As a teenager I spent many, many evenings at the Regent. I remember standing on the balcony with the current boyfriend watching the doodlebugs go by and hoping they wouldn’t suddenly stop. I belonged to the Dot Charlwood ballroom formation dance team and we did exhibitions at the Regent and throughout Sussex. My husband to be (who did not dance!) and I got married in Brighton and had our reception at the Regent Ship restaurant. Wonderful times! So many happy memories. I used to love going to the Regent Ballroom, it was the highlight of the week. Me and my mates and girlfriends used to meet at the Clock Tower then go to the Regent. They used to play Elvis’ “Big Hunk of Love” first, then when it was time to go, they played Ricky Nelson’s “It’s Late”. Great times in those days. Would love to go back in time. The Regent Ballroom on a Thursday night was where I met my wife, we have been married 42 years now but often talk about the good old Regent ballroom. Does any one remember that in the mid sixties on certain nights instead of a band they had a quartet playing, please contact if you can remember their name as the lead guitarist was a good friend of mine. I love looking at these photos of Brighton. My grandparents talked so much about “The Regent” and the wonderful times they had there – it’s great to see what it actually looked like. I think they went there in the 1930s and early 1940s so it would be lovely to see some photos from that period if anybody has some. Hello Harry, I am a third year History student doing my final dissertation on Brighton youth in the 1950s-60s. I was wondering if I could perhaps use this wonderful photo as the front page of my final dissertation? 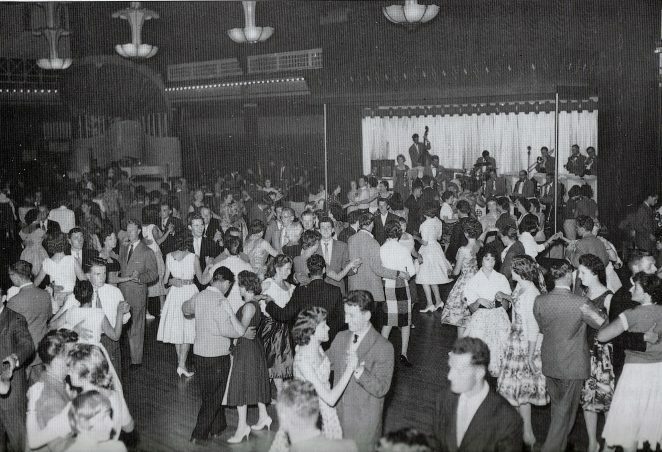 Because the Regent Dance Hall seems to be the place where all the youngsters went at this time, it seems appropriate to use a photo like yours. I am also using many of these comments in my essay as well, as they are so lovely. I used to go there with girlfriends when I was 15-17 years old, it had a great springy dance floor. I met my husband at The Regent when I was 17 years old. I have fond memories; shame when they closed it. I then went to The Suite in West Street, but it wasn’t the same. Hi John Grover, you asked about the Quartet at The Regent, I believe you must have been referring to The Ronnie Smith Quartet with Rickie Gadd on lead guitar. Can give you a lot more info on that band and Rickie should you like to reply.